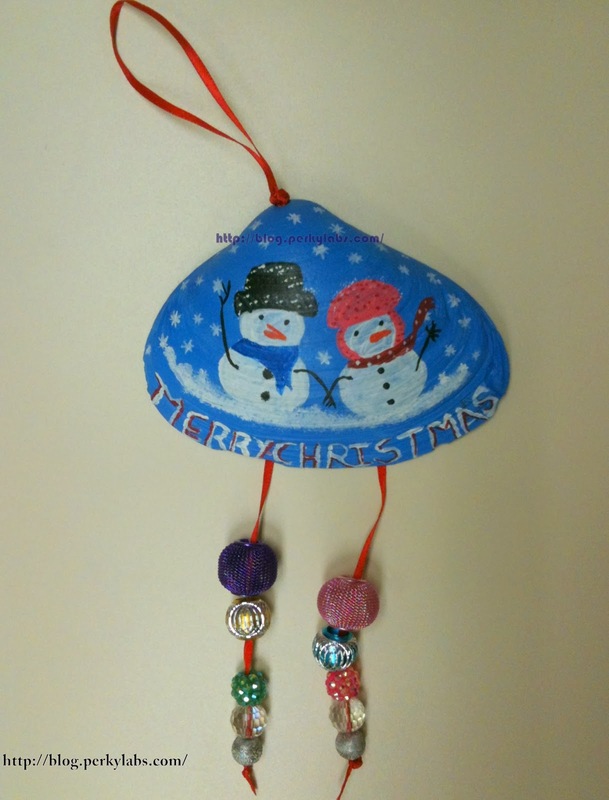 I made this Christmas Ornament as gift to one of my friend. When I went to North Carolina Outer Banks I found this shell in beach. As a first step I cleaned it and painted with white craft paint 2 times as a base coating. Painted with blue color and then decorated with snowman pair and decorative beads.